The Bone Enters With Authority! 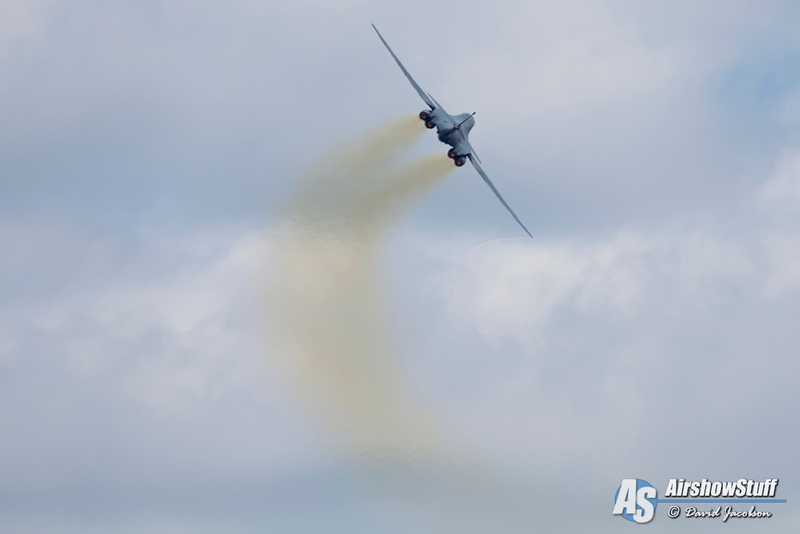 With the focus on bombers at this year’s AirVenture, the Rockwell B-1B Lancer was a hit with airshow spectators. 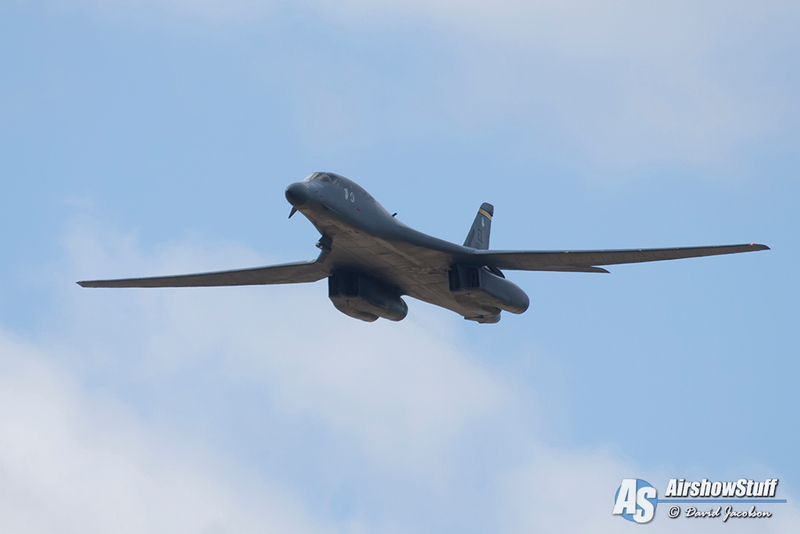 Nicknamed the “Bone”, the B-1B is an awesome sight to see as it rolls inbound toward you. In this video, the AirshowStuff.com crew gives you that sight, along with many other views of this sleek swing-wing bomber as it arrives at Oshkosh for the week. Using the callsign “Hawk 8-3”, the Dyess Air Force Base-based Lancer performs several flybys, giving the crowd a great view of the wings, both swept-back and fully extended. The thunderous roar of the engines and the powerful sight of the Bone make this a great video to watch! I was at EAA on Saturday when the B1-B was doing flyovers. SPECTACULAR!!! Wow. The whole week was awesome! !